Agogosaurus featured prehistoric predation with a custom chassis. They’re sponsored by Bike123.com—Mt. Airy Bicycles and College Park Bicycles. 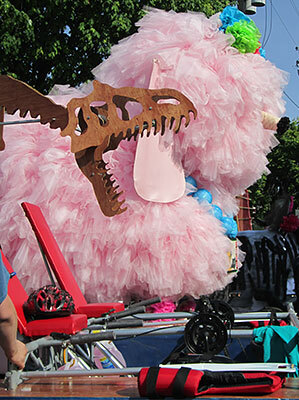 Agogosaurus won an ACE award—even though one of their axles broke during the race. They simply deployed their spare axle and continued. One of the hardest portions of the racecourse to ACE is the water exit. 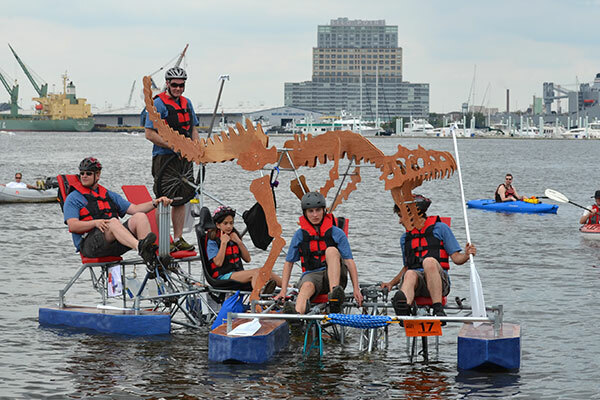 Rear-wheel drive sculptures face tremendous difficulty striking land as typical paddles are insufficiently strong to push the sculpture forward once the front wheels are out of the water. Traction is low because everything is wet, and there’s a fairly steep uphill climb to boot. 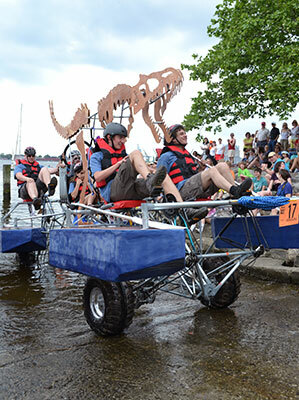 Agogosaurus’ all-wheel drive design, however, had a fairly easy time—the pilots strained up the steep ramp, but no pushing, pulling, or ropes were necessary. 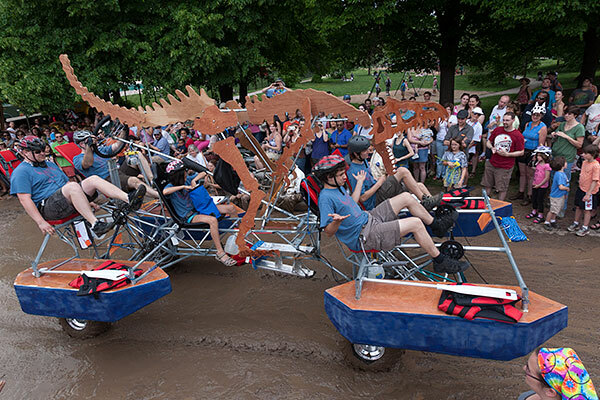 With gnarly broad tires and exquisitely low gears, Agogosaurus plowed straight through the mud. As they neared the muddy end, one pilot gestured at the ease. 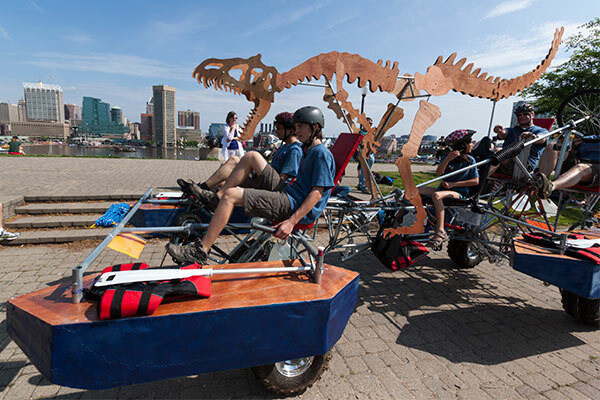 This sculpture is heading to Humboldt County, California, for the World Championship Kinetic Sculpture Race covering 3 days over Memorial Day weekend.